• Get your pots ready for new season plants by throwing out anything that has not survived the colder months. • Add manure to beds and borders to restore the nutrients that have been washed away over the wet Winter, and grit or sand to improve drainage in heavy soils. Use it as mulch to stop weeds and trap moisture. • Fork holes in your lawn to improve drainage and aeration if it has been waterlogged. Add some grass seed and lawn feed, making sure it is well watered. • Prune and reshape your evergreens, and remove any dead wood. • Start sowing your seeds. Many can be started off on the windowsills indoors. 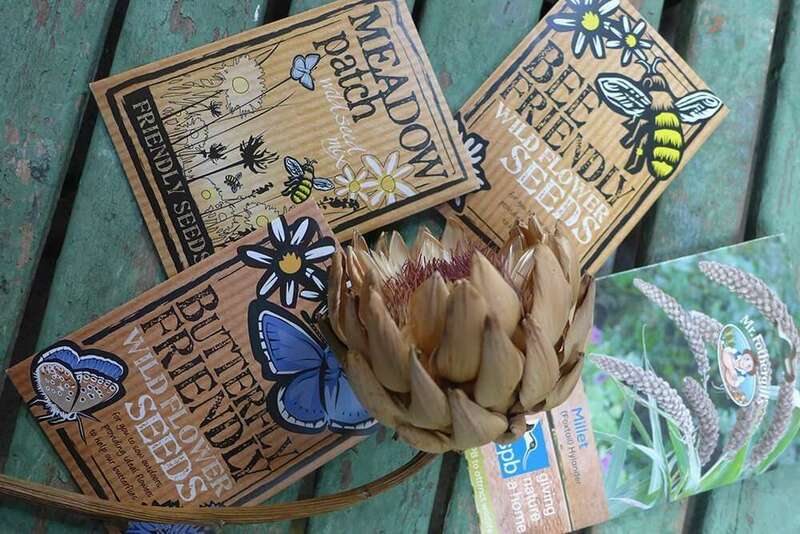 If you fancy a change from vegetables, try cut/wild flower seeds. We have bee and butterfly favourites in store. • Now is the time to plant herbaceous perennials – we have some wonderful English grown varieties in store now. • Repot house plants – more on that next month!